"[A's & Aces'] commitment is to introduce New Orleans public school children to quality after-school activities that combine instruction in tennis, academics for citizenship and life skills to improve both their scholastic and physical development as well as their characters. 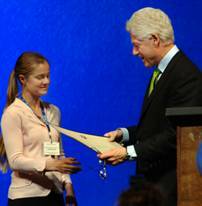 President Clinton presents the "Outstanding Commitment" Award to Dr. Monhartova in March of 2008. "[A's & Aces'] commitment is to introduce New Orleans public school children to quality after-school activities that combine instruction in tennis, academics for citizenship and life skills to improve both their scholastic and physical development as well as their characters. 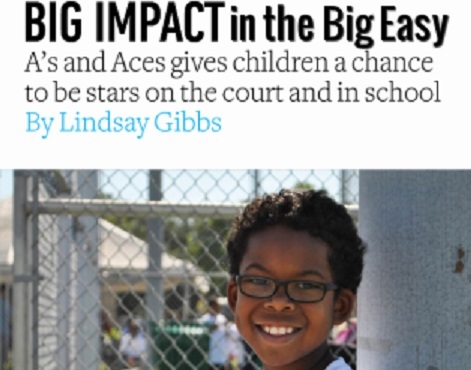 The non-profit organization As and Aces will host summer camps and after-school clinics to give tennis instruction to 1,000 second to sixth graders to spark their interest in playing tennis throughout education. In high school, A’s and Aces will assist promising student-athletes in both educational and athletic development, paving a path to college. This program aims to improve community and race relations by giving a diverse group of young people the opportunity to build relationships through common interests and teamwork." The Angel Award is an annual statewide recognition program that awards funds to outstanding Louisianians working to improve the quality of life for the state's children. Since 1995, the Blue Cross and Blue Shield of Louisiana Foundation has awarded more than $1 million in grants to more than 100 volunteers who perform extraordinary work for Louisiana's at-risk children. This signature Foundation program is all about increasing awareness of children's needs throughout the state and providing much-needed resources to help address them. Every year, the Angel Award recognizes eight outstanding volunteers with a $20,000 grant to each honoree's nonprofit charity. The grants are presented at special events in honorees' local communities, and the honorees are celebrated at a special ceremony in the fall. Watch the video made in honor of Anna Monhartova's work. Anna actually inspires me because she is on the ground doing the work we all talk about. I think she's so dedicated to this because she sees the potential of it. She sees the change in the students that she's worked with in the past, and Anna shows up on a daily basis. She engages with the community, she engages with the students. Her ability to both be a teacher and a practitioner - to work in the field, and then share those lessons with her students - is really incredible. ​The A's & Aces episode of ABC’s “Secret Millionaire” was originally set to air a year earlier in 2012, but was pulled by ABC on the eve of the scheduled telecast, reportedly to avoid competition with the Summer Olympic Games. 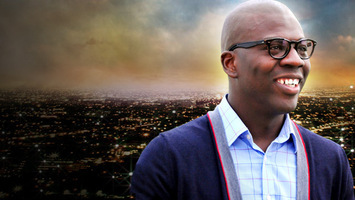 Based on the hit UK series of the same name, each episode of "Secret Millionaire" follows one of America's most successful business people for one week as they leave behind their lavish lifestyles, sprawling mansions and luxury jets, conceal their true identities, and go to live and volunteer in some of the most impoverished and dangerous neighborhoods in the country. Their mission is to discover deserving individuals who continually sacrifice everything to help those in need, and ultimately encourage others to do the same. Throughout this incredible, life-changing experience, the Secret Millionaires attempt to remain undiscovered, coming face to face with extraordinary people battling the odds every day of their lives. On the final day, in an emotional and dramatic climax, they reveal their true identities. Ultimately, the millionaires each give away a great deal of their own money, changing lives forever and encouraging others to keep giving back. A's & Aces received its first overseas donations from the United Kingdom, and, through correspondence with donors, discovered that British audiences learned about A's & Aces when the show was telecast in conjunction with Wimbledon. The episode that was filmed in July 2011 aired nationally in the U.S. during prime time on Sunday Aug 25, 2013, the evening before the U.S. Open. USTA National Junior Tennis & Learning 2013 "Chapter of the Year"
On November 4, 2013 the USTA announced that A's & Aces was selected as the National Junior Tennis & Learning (NJTL) Chapter of the Year in the highest of three budget levels ($500k and over). 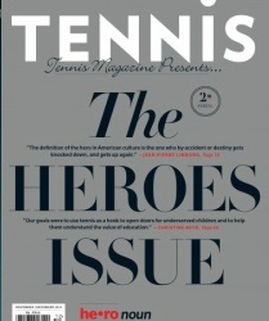 In its press release announcing the award, the USTA explained that the NJTL was "founded in 1969 by Arthur Ashe, along with Charlie Pasarell and Sheridan Snyder, [and that the NJTL] network is a nationwide group of more than 600 nonprofit youth development organizations that provide free or low-cost tennis, education and life skills programming to more than 300,000 children each year. Celebrating its 44th anniversary this year, NJTL is one of the USTA’s largest community-based offerings." In conjunction with this award, the USTA commissioned a video that features several City leaders, including the Mayor, the council President/VP, a NORD Commissioner, and the Heath Commissioner explaining the need for and value of A's & Aces programs to the community. If a kid's got a racket in his hand instead of a gun, you've got a chance. If we’ve got kids on the courts being taught the values of life, the chances of them growing up, doing great things is a thousand times better. A’s & Aces is one of those that provide incredibly high quality service for a very low price, brings access to a sport that kids may not otherwise have, all over the city of New Orleans, in a way that we could not frankly do if we were trying to do within government. It was just horrible after Katrina. There was nothing. I mean, there wasn’t anything going on in Pontchartrain Park. There weren’t these kid's camps and great programs like A’s & Aces to really change this city for the better, for good. A’s & Aces is a model program not just for New Orleans but for this country. It is addressing the needs of kids from their physical health to their mental health all the way to their life skills development. They’ve been a wonderful partner to the city. 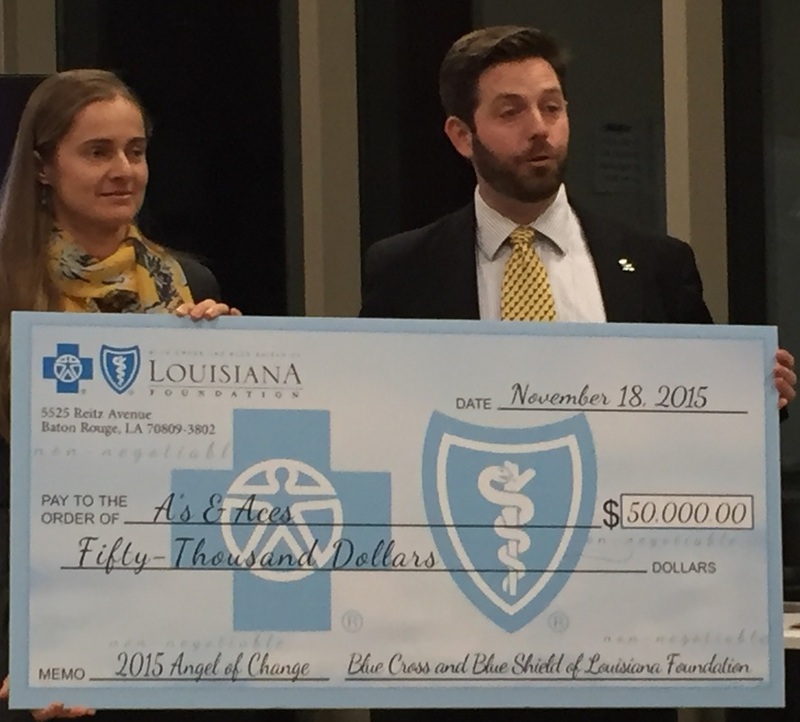 ​To celebrate the 20 years of Angel Award winners, Blue Cross authorized the so-called Angels of Change Grant program to support innovative ideas benefiting Louisiana children. The 162 Angel Awardees, including A’s & Aces co-founder, Dr. Monhartova, were invited to apply. Twenty (20) grants were awarded, and A’s & Aces' Empower & Serve initiative was selected as one of the awardees. A special event was hosted at the Phyllis M. Taylor Center for Social Innovation and Design Thinking at Tulane University where the Blue Cross and Blue Shield of Louisiana Foundation awarded A's & Aces an Angels of Change Grant in the amount of $50,000 to support our Initiative.​ Learn more here. 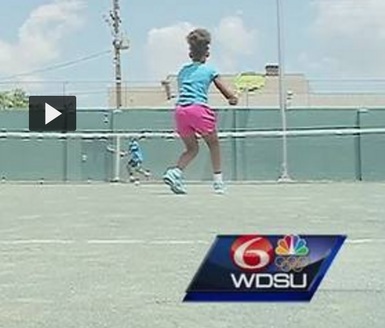 WDSU News reporter Charles Divins visited our Tournament Training Camp at the Atkinson-Stern Tennis Center. The video aired on June 25, 2016. View or read the report here. Anna Monhartova is a 2016 "NOLA Hero"
The Times-Picayune spotlighted A's & Aces' co-founder and current President, Anna Monhartova, PhD, in its 2016 "Future of New Orleans Project" that focuses on "individuals who are building a better future for our area by making a difference now" - NOLA Heroes. Read the article here. National Junior Tennis & Learning Chapter of the Year - The National Chapter of the Year was awarded by the United States Tennis Association from more than 600 organizations nation-wide. ​"Louisiana Hero of Excellence" selected by the Louisiana Legislative Women's Caucus Foundation as the 2016 "Louisiana Hero of Excellence." 2017 Zurich Classic Community Impact Award - for work to improve the lives of children in New Orleans through significant contributions to building resilient and sustainable communities through inspirational leadership and ability to enact positive change.